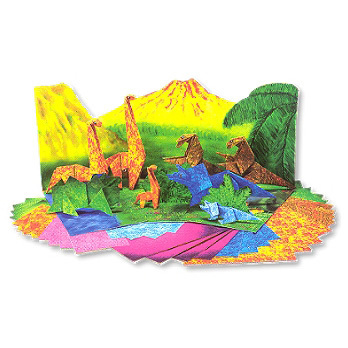 You can create your very own colourful and fun pre-historic world with this fantastic Dinosaur World Origami Kit! Complete with dino-hide patterned paper and detailed instructions, this entertaining origami kit will have you creating an age of paper masterpieces in no time! Origami takes surprisingly little time to master, so you can make the transition from the basic of origami folds - the valley fold - to the inside reverse fold and radial pleat in no time! 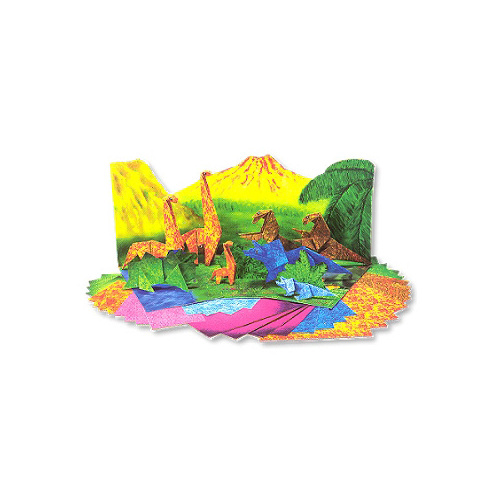 So why not discover a creative and addictive hobby you can cherish for life, and amaze your family with the Dinosaur World Origami Kit today!